Nuclear medicine uses radioactive materials (or radiopharmaceuticals) to diagnose and treat disease. Nuclear medicine doctors use nuclear imaging tests to see the structure and function of organs, tissues and cells. They also use radiation to treat a variety of diseases, such as overactive thyroid and different types of cancer. You’ll find nuclear medicine doctors and nuclear radiologists in Southcoast hospitals and physician practices across the South Coast. Reach out to Southcoast Radiology Imaging Services today to find a location near you. Bone scans to check for infection and bone cancer. Gallium scans to look for infection, inflammation or cancer. PET/CT, which is a combination PET and CT scan to diagnose, stage or restage cancer and evaluate treatment. PET/CT scans create three-dimensional (3D) pictures to pinpoint the exact location of cancer. SPECT scans (single-photon emission computed tomography) also create 3D images to show blood flow. SPECT scans are particularly useful in diagnosing heart and blood vessel conditions. Our nuclear medicine team in southeastern MA may also provide radioactive iodine treatment for hyperthyroidism and thyroid cancer. 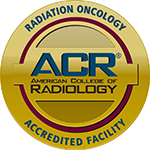 Find a radiology imaging location near you to learn more. The nuclear medicine team at Southcoast Health offer a range of services to patients of all ages in Fall River, North Dartmouth, New Bedford, Wareham, MA and parts of Rhode Island.